As part of our on going commitment to “Making Building A Better Experience for All”, the Lincolnshire and Nottinghamshire Air Ambulance was selected as the Heritage Skill Centres Site Charity for the duration of the construction project. As an East Midlands based construction contractor we are proud to support local charities when delivering projects. Particularly as many of our projects are in rural areas or sites with difficult access. The Heritage Skills Centre is a BREEAM Very Good Training and Development Centre situated in the heart of Lincoln Castle, the first new build inside the confines of the Castle for over 100 years. Over the course of the project Site Manager Peter Winson has been helping to raise money for the Lincolnshire and Nottinghamshire Air Ambulance by holding on site events such as fundraising lunches and coffee mornings which were well attended by the Castle Management Team, Court Staff, the and Robert Woodhead employees. Our Managing Director David Woodhead has personally offered to double what we raise on site. We are awaiting to reveal the grand total in February when the Skills Centre is set to be officially opened. The fundraising on site was recognised by the Considerate Constructors scheme, in awarding the site 36.5/40 a real achievement for the team and well above the industry’s national average. The score places the site within the top 7.5% of sites registered to the scheme. 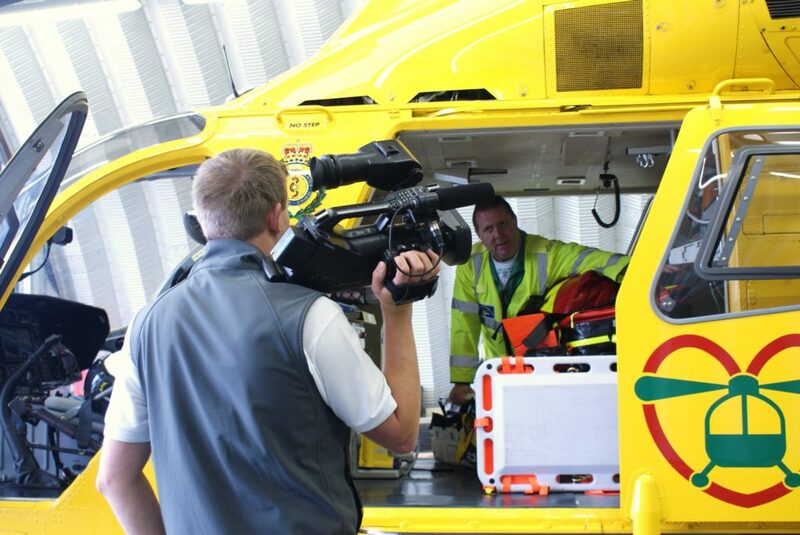 The Air Ambulance relies completely on public funding to operate. You can help by visiting the Lincolnshire and Nottinghamshire Air Ambulances website by clicking here. If you would like any further information about the charities Robert Woodhead support or would like to know more information about a particular project please contact us.